Before we go into the DeMarini Cf9 reviews, let’s take a look at the category in which it falls in, which is the fastpitch softball bats. First of all, what is the fastpitch softball bats? Some call it fastball also, well this is a general form of softball that is mostly also known as fastpitch or fastball, is a form of softball used mainly by woman or girls and even the men. The international body of softball (ISF) approved three pitching which are the slow pitch, modified fastpitch and the fastpitch itself. The fastpitch has been considered a very competitive form of softball, and it was seen in the Olympics games in the late 90’s and 2004 and 2008. This fastpitch style is approved for usage in the college games and major international leagues or competition. Fastpitch has its specifications and standard for its bat’s production that is what makes it unique. A fastpitch softball bat should have a barrel diameter of about 2 ¼. Its length to weight ratio should be between -8 and -13. It should have the features for usage by the female players from childhood to college age and beyond. An ideal fastpitch softball bat should be constructed from aluminum, composite or both material and in some cases, half and half materials. It should be approved for play in prominent leagues like the USSA, NSA, ASA, and ISA as the major league games. The bat should be fully certified as the majority of the fastpitch player play more in the ASA leagues. To know if a bat is approved is to check the barrel if it is printed on at the top or head of the bat. Fastpitch softball bats are of different variations and from various manufacturers like the Easton, Louisville Slugger, Combat maximum, Rawlings, Mizuno Silhouette, Axe element, DeMarini and whole lots more. For this article, we will be concentrating more on the DeMarini Cf9 fastpitch softball bats. DeMarini Sports is an incorporated network, consisting of baseball bats manufacturers and other equipment in the United States. DeMarini has been known for power enhancement in its bats. 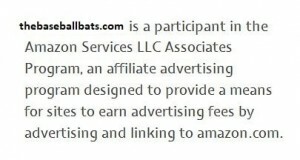 The deal with the production of the fastpitch and slowpitch bats categories also. The company was founded by Ray DeMarini who is late now. In the year 1993, DeMarini took the task of advancing the reputation of the bat by constructing the double wall which turned out to be the first multi-wall bat in the world. The bat could make the ball bounce off of it when struck on the sweet spot. The company was later sold to the Wilson goods in the year 2000. However, DeMarini was still determined to produce the top of the line bats and going above his competitors to becoming a leading name in the manufactures of baseball bats. DeMarini produced many series of bats such as the CF Zen, Vexxum, CFX, Custom bats, New breed GTS, Voodoo, the Flipper, the ultimate weapon, the CF9 series and lots more just to mention a few. Now let’s share more about the DeMarini CF9 fastpitch softball bats. Now I know you may be wondering where I excluded the rest of the products to share more light on this product series. Well, the DeMarini Cf9 comes with new concepts and the introduction of special features such as the 3 fusion handle, the paraflex composite and a whole more of the drop weight. Moreover, that is the topic of discussion in this article. DeMarini softball bats are constructed and designed for the players feel which is simply described as simple and plain. Most players are power hitters, some are good in slapping while others are used to swinging the bats. Now that’s the main purpose of this bat to satisfy the player’s needs. The manufacturer in the person of Wilson DeMarini knew what was needed in the fastpitch game and decided to use the information to design this bat series called the DeMarini CF9 which is a dream come true for the players. The pop is monstrous and incredible, and the bat is stronger and lighter, thus you won’t require any break-in time. In any case, it isn’t totally immaculate, thus you likewise need to consider some of its negative things, for example, the cost. Thus with all variables considered and on the off chance that you include the way this is a standout amongst the most trusted brands in the business you will see that the CF9 is the thing that each hitter longs for having when on the field. This new development is unbelievably creative and is both the most smoking and biggest sweet spot accessible. It additionally takes into consideration the bat to have more quality by utilizing what DeMarini depicts as filaments that are 22% more grounded and more proficient. A quick question, would it be a good idea for you to consider experimenting with the new CF9? My recommendation is whether you are glad and alright with the more established form at that point stay with it. Be that as it may, on the off chance that it is close to the finish of its convenience, I would exceptionally suggest you take a look at the more current one. In spite of the fact that it will feel fundamentally the same as, you will even now see an immense contrast in the way it swings and the little additional power could have the greater part of the effect for your next season. On the DeMarini cf9 reviews we will share all cf9 model reviews. The Cf9 has a massive sweet spot, this is an addition to its recent innovation, and this makes the barrel more active and free. Another new improvement is the handle which is D fusion as a design and helps to stop the occurrences of vibrations and improves the direction of energy passage. It comes with good drop weight balance of -10 and -11 which makes it balance and suitable for the hitter to hit the ball. The barrel length is 12 inches. The brand new Composite Barrel and was intended to make the bat stronger compared to the former paradox composite. It was also known that is about 22 times stronger than its previous model. It comes with unique drop weight that makes it balanced. A very significant improvement in the D fusion handle which came as a rebrand to Cf9 fastpitch softball bats. The bat is durable and stronger than it previous models. Left-handed players can use it by creating a right barrel length balance. It has a good pop improvement in its innovation. This bat has proven to be a very promising improvement for the league game, as it comes with unique features of which they all have their importance and functions. The new DeMarini hope CF9 comes as a great invention for the fastpitch baseball games .this time, it is new and rebranded and it comes with many features which makes it the most popular in its class and model. It was developed bearing the mind of the power hitter. This bat comes with a loaded swing weight to increase the speed of the strength of the hitter. It has the following features. Presence of a Huge Sweet Spot which aids the combination of the composite consistently on the barrel for a more responsive feel. Its handle is created out of D Fusion technology which helps to remove the vibrations and transfer of energy along the barrel. Its barrel is from paraflex composite, and it is made to be very stronger compared to the paradox composite. It has a slightly Loaded Swing Weight at one end which makes it possible to take your energy to the next level. It comes hot out of the wrapper with a superb performance. Comes with full 12 months guarantee. Its design is made from a two-piece composite material. Frees shipping applies to this bat once it’s purchase right to your doorsteps. This bat brings in its latest technological innovations and is back with a revenge mission to achieve its aim of providing players the desire feel they need. A very good feature of this bat is that it reduces the vibration during off center and directs the transfer of energy from the player to the barrel. This bat comes with fewer worries as the sting is out and a full more boost and confidence is presented by the player made from composite material in a double way design. You can be assured this bat promises a hot out the wrapper performance to the players plus it has a convenient drop weight of -10 which makes balanced attainable to the length ratio of the barrel. You can’t seem to get enough of this DeMarini Hope CF9 as it is approved in the USSA, ISA, ASA ISF and the NSA. The only limiting feature about this bat is its price which may be a little expensive for the standard player, but this bat saves a whole more of stress in a lifetime having it than not purchasing it. Another superb bat by the DeMarini is the DeMarini CF9 Insane which comes as a surprise package for the season’s game. This is one of the most popular models in the class of its advancement as it comes with fewer worries and more features to suit your gaming experience. A fantastic feature of this bat is that its carbon fiber is 22% more durable and stronger than the previous paradox composite models. Has a long diameter of 2 ¼ which makes it more accommodating. Its sweet spot is so massive that it makes the barrel active and very responsive. Vibrations are greatly reduced because of the fusion handle made from the latest technology. More power is excreted on the ball by the hitter because of the slightly end loaded weight of the bat. The mighty swinging of the bat is possible because of its drop weight. Comes with a more substantial sweet spot than the previous ones. Made from 2 pieces composite material with an excellent performance that is fascinating. Once you purchase this bat, your free delivery is guaranteed. The bat can be purchased in colors of green, gray and red. The only limiting aspect about this bat is the price which is a bit expensive. With insane features this bat comes with, you sure can get some crazy pop sound from its plates. The composite material makes much stronger compared to the paradox in the sense that its flex is paraflex and offers the lightest loaded end weight for swinging. With the free delivery and a one-year full guarantee, why not get this superb bat that promises a lot. Some major features or properties of this bat is the enormous sweet spot, the D Fusion handle constructed from the latest technology, and the drop weighs which is -10. All these specifications are worth the price, and if were you, I will have fewer worries because my power hitting is covered plus I get the chance to use this bat in most leagues as it is also approved for play. The major name and leader in fastpitch is still on track with its hit back to back. 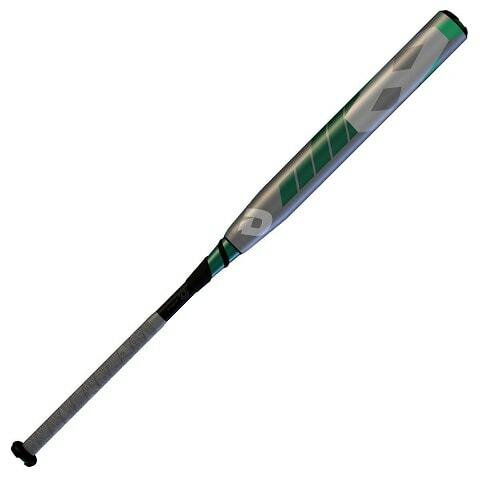 DeMarini CF9 Slapper features advanced specification and is perfect for the left-handed players also. A special feature of this model is that features the Lower MOI and long barrel inches of 14 inches which makes the coverage greatly maximized. The all-new Slapper has the following features that make it so special and requested for. The barrel diameter is 2 ¼ inches, but it is extended to 14i inches. It has a small lower MOI compared to the DXCFP. The D fusion handle design makes elimination and vibration of vibration possible plus it helps to redirect the energy to the barrel. It has a grip Tape which is Oriented achieve maximum feel and comfort for the players playing with their left hand. Has a drop weight of -10. Left-handed players use it because of its grip tape which is very comfortable. It is one of the lightest swinging bats and provides maximum swinging strength and speed. It has full 12 months guarantee plus free shipping when purchased online. Smaller and younger players use it. For now, there are no limiting features to it, but its price might be big. In addition to this, the bat gives a constant pop sound that feels good. Another unique feature of this bat is the fact that it can be used by left-handed players because maximum comfort is provided and it helps decrease the chance of ripping the orientation of the bat. This bat offers a light swing balance when you don’t feel like slapping because of its drop weight of -10 which is a very significant advantage to its design and construction. Just like the other CF9 models, it also has a paraflex which is brand new and provides a maximum supply of energy compared to the previous models. DeMarini has dedicated itself not to disappoint when it comes to manufacturing softball bats as it comes with more and more modifications to its fastpitch softball bats. This is no doubt a top-notch bat as it is designed for high performance and a stunning grip that is of the high standard. This composite alloy has a standard diameter length, a balanced weight and of the cause, it is approved for use in major games. this exceptional plan incorporates the streamlined 3-Fusion handle alongside the lightweight 3-Fusion end top that upgrades weight for better general control at the plate. With a smooth plan, the 3-Fusion handle gives a sensational lessening of sting in the hands and a detectable distinction in flex on contact that helps move vitality into the barrel for most extreme execution. DeMarini’s RCK handle finishes it off, and it is still anatomically intended to fit splendidly into any player’s hand. DeMarini: Can’t Stop! Presence of a very massive sweet spot which is aimed at joining the composite to the barrel. It has an optimized handle which helps in the transformation of energy back to the barrel for a swift trampoline contact feel. The composite barrel enables the even distribution of weight because of the presence of the paraflex. It is fully warrantied on a 1-year plan. Its material is gotten from two-piece composite design. Its durability may be questioned in colder weather. In conclusion to this bat, it comes with free shipping and delivery to your doorsteps if ordered online plus a very impactful 12 months warranty. The large sweet spot makes it possible for the composite to press along the barrel which in turns produces a responsive pressure in it. Another feature just like the other series is its ability to withstand vibration and to direct energy into the barrel. It has a low cap end which makes it not to be loaded for smaller players. It is made from stacked barrel construction. It is a two-piece composite and paradox constructed bat. Its handle is designedly fusion. Comes in sizes of 33’ and 23’. It is light and recommended for smaller players and has a good pop sound to it. Its paradox addition may not be too durable to withstand stress. With all the bats mentioned or the DeMarini cf9 reviews, it is important to note the standard features in which they share like the handle which comes as an improvement and the combination of the composite material. Some of the bats here share similar price tags and are considered worth their prices because they have each been used and tested to prove their worth. The vast sweet point in most of the bat also comes as the latest enhancement which over the years has proven to be very useful in hitting the ball a long distance for power hitters. These bats have proper barrel diameters and are fully certified plus the full 12 months warranty period. With all these mentioned, it is pertinent to note that the DeMarini bat is sure a massive success to the manufacturers, players and the league games as a whole. John Mike Trout is an American Professional Baseball player. He was born California. John Mike is a 2 MLB All-Star. He loves to write about baseball. What is the difference between softball and baseball?